Years ago I met a psychologist who emphasized to me the importance of distinguishing our thoughts from our feelings. Thoughts versus Feelings. First, that we all too commonly confuse the two, and do so too easily. We tend to speak, without really realizing it, in terms of our feelings: “I feel that…..”, or “I feel like….” for example. Statements that begin with this terminology in actuality describe thoughts, judgments, or beliefs and are not feelings or describing emotions. Second, that our feelings – emotions – are vitally important, and should be given their due credit and place. People often subjugate feelings to the expression of their beliefs or thoughts, but in doing so they ironically identify the very statement as one of emotion. The result is an inaccurate description and an inappropriate subjugation of an important human characteristic. To properly, successfully separate these two, he explained, is to not only express ourselves more accurately, but to understand ourselves better. And not only those, but also to recognize the importance of both – our judgments, our thoughts, but also our associated feelings – emotions – that accompany those thoughts and beliefs. Now to the point of application. In political terms – in the American political experience of this past year, and culminating on November 6th, this has been an intensely emotional year for all people even remotely interested in future our good country. We have been witness to, perhaps even been party to very emotional scenes which presumably come from deep wells of strong conviction. I would argue that if our points – whether “left” or “right”, as it were, liberal, conservative, Republican, Progressive, Libertarian, or Democratic, humanitarian, individualist, Tea Partier, “Green” or Socialist (not to mention the myriad other angles and flavors of political or philosophical persuasion) – can be, nay, SHOULD be made largely devoid of emotion. If your argument is right, or if you believe it is right, and if it is reasonable if not preferable, or at least if you firmly believe it to be so; if it is good enough, and if you are absolutely confident in its validity; that it could possibly be, or even ought to be acceptable to the vast majority, then it must not require the emotional element. I recognize this is not science, but it is a form of political science. If our positions are valid, then they must stand as valid without the destructive emotions that all too often overtake our thoughts and beliefs. If your argument is good – well-assembled and rational, it will not require name-calling, threats, hate, violent outbursts or permanent divisions among us. It can, obviously, and does. But that is only because of our individual levels of self-control, self-discipline. This past year I personally witnessed this to an extreme in liberal talk radio and much social media commentary. Especially surprising was the ugliness of – and not insignificantly, unconstitutional attitude of religious (and racial) discrimination and worse, bigotry. I thought we were beyond it. That has been a hard and sad lesson for me personally this election cycle. And I witnessed it – less in my view – from the Right as well, even as late as post-election. Regardless of our personal perspectives, there can be no mistaking that “Both Sides” have done it and witnessed it. It is worth considering that those who are convinced will remain convinced. Those who are not, those who ride the fence, perhaps to our bewilderment and frustration, are the ones who deserve a peaceful, persuasive and rational conversation. Let us come reason together in peace. Regardless of your personal angle, seek to persuade peacefully. If you cannot, or choose not, consider the bigger picture of life first. If I have been told what I have said on occasion is “utter tripe”, then consider whether it was presented in a tone of emotion – of anger or hate expressed, or by way of dispassionate inquiry. We all make mistakes; I do not have enough digits between myself and family members to borrow from to count. But if an argument or question is valid, then it can be presented dispassionately and peacefully. And in the end, as for the result, at least for now, it is what it is. If any of us is dissatisfied, then let’s work to change it. But generally, as I was taught early on, a loud voice oft times indicates a weak cause. Thank you, Dr. Brad Kahle. It was a Friday night in early spring, a glimmer of light faded as the mountains loomed over the city. Twilight had set; the day was almost gone. I stood in the on-deck circle, anxiously waiting. “Ball four!” the umpire called, as my teammate jogged to first base. Now I had the chance I so desperately wanted. I glanced over my shoulder and was astonished. My whole team had given up. Dirt covering their uniforms, they sat on the bench with looks of disappointment. At that moment I knew it was up to me. The next seven steps I took to reach the clouded, disgruntled batter’s box, felt like an eternity. My body ached with anxiety, my thoughts scrambled around like bees in their hive. I had finally reached the plate. I ground the dirt under my cleat, filling in what looked like craters from my previous swings earlier in the game. The pitcher shot me a glare. He had one last chance to win the game, but he had his work cut out for him. We made eye contact, and I could see his face looked nervous. At that moment I realized the immensity of the situation I held in my hand. I could take this game myself. After he “came set”, my desperation turned into determination. I was going to win. “Ball one!” the umpire barked. I stepped out and re-adjusted my batting gloves. As I reset myself, I heard my father urge: “Like a lead off!” which means to take the pitches, work the count, and be patient. I took every word he spoke and utilized it, every one. The pitcher “came set” once again; and as he threw I loaded my weight on my back foot, and began my swing. The pop of the bat echoed as the ball flew straight BACK; just missing what could have been the game-winning hit. At this point in my “at bat”, I stepped out to re-adjust, not my gloves, but my mind. I was nervous, anxious; the thought of success clouded my mind with unrealistic outcomes. I had to re-think what my plan was. I closed my eyes and said to myself, “Hit a line drive hard, and get the run in.” And that is what I strived to do. I set my feet in, about shoulder width apart, and shortened my swing. the crowd was excited for a brief second, as I pulled a ball just foul down the right field line. I was down to my last strike. I now had one last opportunity to make myself, and my team, champions. The pitch came. I began my swing but held back, he had spiked a curveball in the dirt. The count was now 2-2, which is in any way, shape or form, a pitcher count. I stepped out to guess what might come next. The bases were loaded and he had walked the last batter and just thrown a curveball into the dirt. So I set my mind expecting a fastball. He needed a strike, nothing to far off the plate, but anything close enough to get me to go fishing. The pitch came, and I was right. He had thrown a fastball on the inside half of the plate. I had already made my mind up to swing long before the pitcher even set foot on the rubber. As I made contact with the ball I thought I had done it. But I hit the top half of the ball, and had grounded out to first base. The glimmer of light had completely faded, and the game was over due to the darkness. This moment in my life changed my outlook. On everything. If I had spent the time hitting off the tee, and over-all just been more focused, that day could have gone in a whole other direction. But I didn’t. I sat on the couch and watched TV the day before, and it came back to cost me a hit. I still think about that day, the day I could have been better, and I smile. I smile because it is a constant reminder of what I want in life. I want success, I want to win, and I don’t want to have a meaningless life. I want to be remembered. That day is my motivation. I will never waste an opportunity like that again – in baseball or life. I just want to be happy. This is Zack Keaton’s first blog for AAH. Click on his picture to read his biography on the Contributing Writers and Editors page. This article is posted in its original form at Hugh Hewitt’s website and is reprinted with permission. 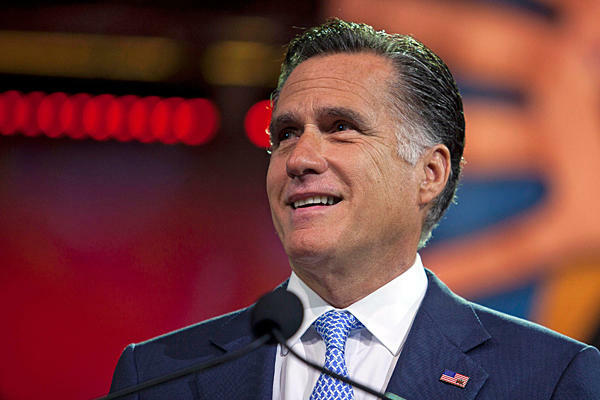 Congratulations to Mitt Romney for having conducted a disciplined and idealistic campaign of great consequence for the country, even if he did not prevail. He is such a good and generous man that the defeat is very hard on all of the people that saw in him a combination of talents that the country desperately needed. Nature intervened after he had successfully overcome all the powers of incumbency, but he and his team –and especially his remarkable and wonderful family– sacrificed so much and worked so hard that is very difficult not to feel disillusioned with a country so unwilling to confront its deep problems and trust a virtuous man to lead it. 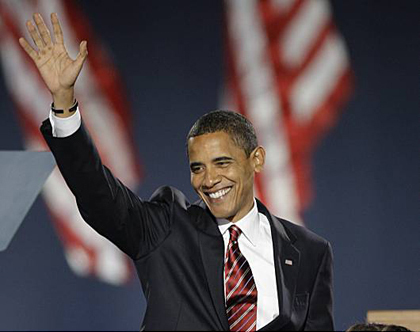 President Obama’s speech tonight was gracious and optimistic, and we have to hope he does move to the center because as Congressman John Campbell said on the program tonight, the GOP is not going to accept a slow move towards socialism. The president won re-election, but not a mandate. Not even close. This wasn’t 1984 much less 1964 or 1936. The GOP owes Mitt Romney and the all of his supporters the continued control of the House, and for that we should be very grateful. I suspect the bruising political battles of the past four years will continue unabated because the country did not choose one course or the other, and the president’s re-election was so remarkably narrow and built on such a precariously empty agenda and so many tricks and sleights of hand that it is hard to imagine what he will want other than comprehensive immigration reform, which of course will do nothing to address the fiscal woes engulfing us. The rot of Obamacare will spread, and the regulatory maximalists will press forward with their ruinous agendas, and the House will not be in a position to stop the unelected rule-makers anymore than the president can force through his devastating tax agenda. We have a stalemate at hand, but what will be necessary is for the GOP to set its sights immediately on 2014 and recruit candidates for the Senate with the capacity to negotiate a fully partisan MSM. One weak link much less two or three can and do cripple entire elections. Whomever replaces Senator Cornyn at the head of the NRSC will have to start tomorrow to think through this challenge because we have to get the Senate in 26 months. Ideas will matter more than ever, and their effective presentation even more so. The bad news is that Paul Ryan remains in the House. The good news is that he remains in the House, and that the rising generation of governors remains incredibly talented and innovative and they add Mike Pence to their number. I hope that Reince Preibus can be persuaded to stay at the RNC and improve on the very good machine he helped Mitt Romney build. It will be easier on the GOP the next time as the Democrats must suffer through their own succession battle as did the GOP in 2008, and they will have to do so as the economy grows even more stagnant. Will stagflation come? Almost certainly yes, and the brutal reality of the fiscal hole the president dug will descend, and rather quickly. Will healthcare rationing arrive in the form of the IPAB? Yes, and seniors and their families will be shocked by the consequences. Will there be a crisis of confidence in our debt, and another panic? I hope not but rational people have to assume so. My biggest worry is four more years of starving our military, and here the House must simply say no, even if it forces the showdown that the GOP strove so hard to avoid for fear that it would wreck their political chances. It is the Speaker’s and Leader McConnell’s first duty to make sure the military gets what it must have. Pray for the president and the Congress and yes, with special zeal, for the health of the Supreme Court. We are in uncharted waters, but the Framers were geniuses, and we will see if that wisdom surpassed even what we had previously appreciated. Click here or on the image above to learn more about Hugh Hewitt. You may also click here to read Hugh’s bio and about our other Contributing Writers on Ask A Hoosier, and you are interested in contributing, please check it out.